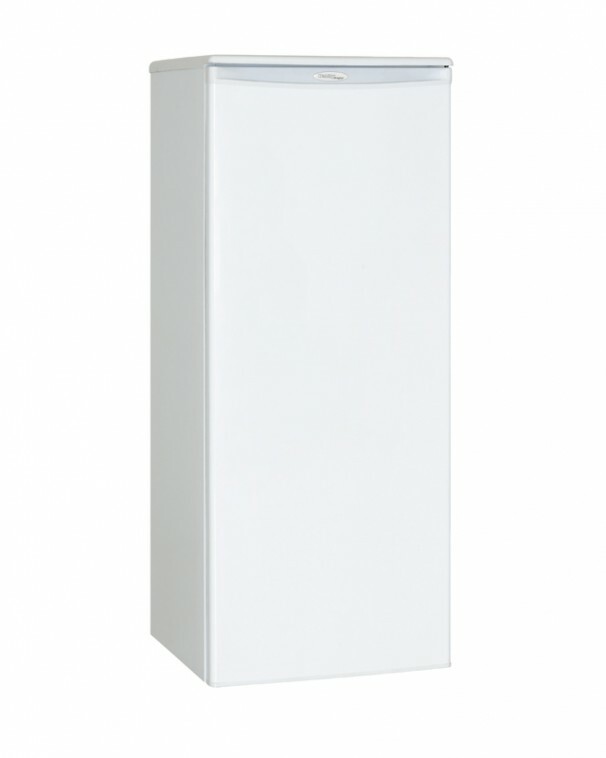 While this elegant and spacious refrigerator by Danby may be big enough to live in, we don’t recommend it. What it is recommended for though is people who are looking for a reliable and dependable refrigerator unit without freezer space. This Designer model serves up 11 cubic feet (311 litres) of cool storage area and the prestigious Energy Star rating and high-tech mechanical thermostat means it will cut back on your power bills. The stylish appliance features a single door with an integrated handle and a clever reversible hinge which allows you to set it for right or left-handed opening. The neat and tidy interior is illuminated by a powerful lighting system which makes it easy to organize the glass-covered vegetable crisper, the integrated door shelves, and the four-and-a-half adjustable glass shelves. There’s considerable room for large and tall bottle and this top-of-the-line unit comes with a worry-free 18-month warranty on parts and labour along with convenient in-home service. 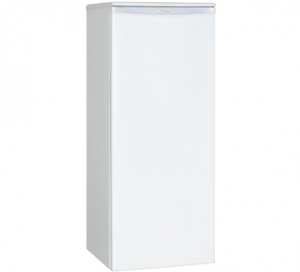 This magnificent combination will provide you with 11 cubic feet of fridge space. 18 months parts and labour coverage with in-home service. Installation and/or Yearly Maintenance (cleaning) are not covered under warranty. My compressor comes on often is that normal? Things are freezing in the fridge what’s happening? There could be one of two things happening. You have the temperature set too high (too cold) or you are leaving food right under the vent or up against the back wall.